Simply place the Ghost-Ball Aimer's open hole over the object ball and turn the pointer toward the pocket. 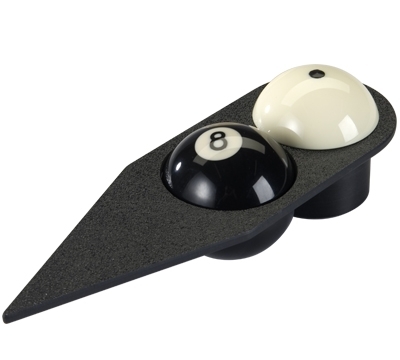 The Ghost cue ball with the black dot on its top now shows the proper aiming point from any cue ball position on the table. Just remove the Ghost-Ball Aimer and the mind's eye will remember the proper aiming point. One session with the Aimer will do more good than hours of guessing, trial and error.